This is one of my favorite spring/summer dishes. 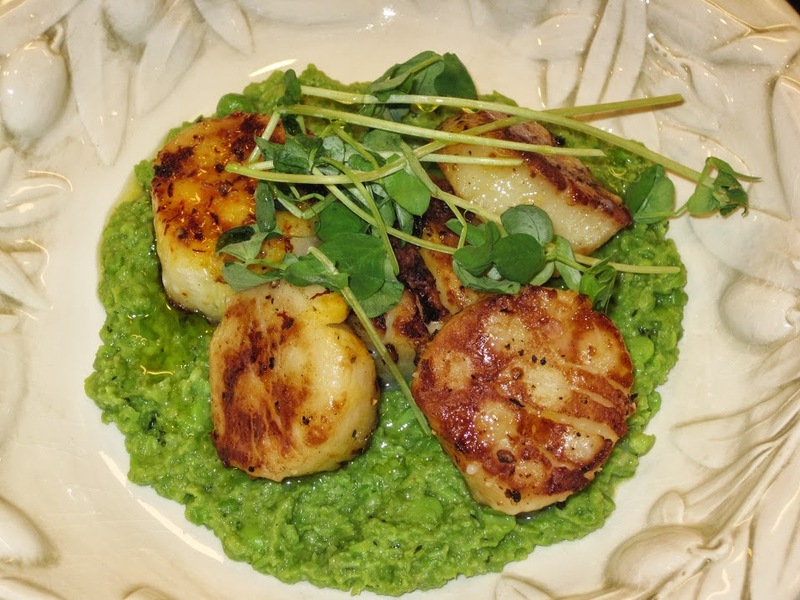 The saffron on the scallops is delicious with the fresh pea puree. Simply rub the scallops with olive oil, sea-salt and black pepper and then gently rub in crushed saffron threads — just a small pinch. I had my husband grill the shellfish and then plopped them on a pile of the puree and topped it with fresh pea-shoots. Dinner party worthy! 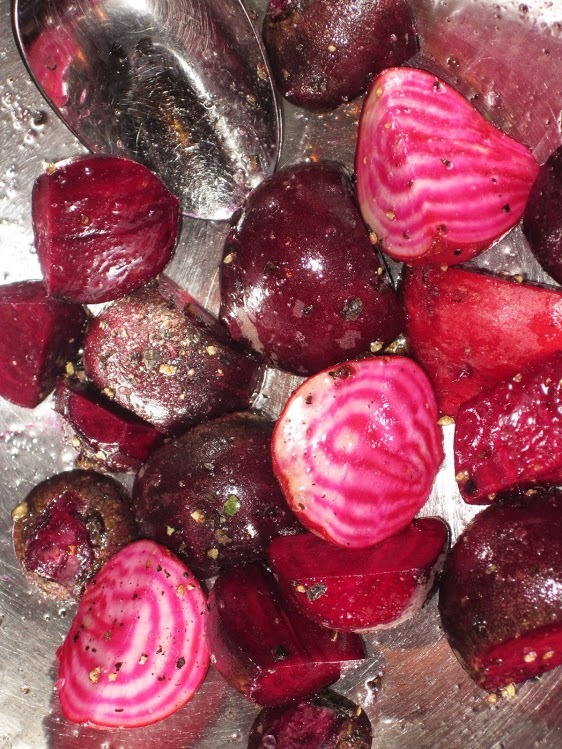 We also enjoyed tender, grilled baby beets from a friend’s garden. Delicious and so delicate they didn’t even need peeling. Thank you Kurt!